Damp and condensation issues can be a real hassle in any home, but there are certain additional considerations for heritage buildings. In this blog post we will take a look at how to correctly identify and treat damp and condensation issues in older buildings. Damp and condensation is a problem that can affect any building, old or new and has a wide range of causes from damaged and leaking roofs and walls, to insufficient insulation, poor ventilation and the use of incorrect buildings materials over generations of extensions and refurbishments. Excess moisture in the home can cause a lot of concern to the homeowner as they’re all too aware of the potential damage that it can cause to the building fabric and finishes as well as the health impacts it can have. But it’s also easy to become overly concerned and rush into taking the wrong approach to dealing with damp and this can cause further issues and even greater damage. It’s common for homeowners to be uncertain of what the cause of damp and condensation is in their home, unsure of the severity of the problem and of how to tackle the problem. This can lead to homeowners commissioning ineffective, inappropriate or even damaging remedial work. In this blog we’ll be taking a look at the main considerations when dealing with damp and condensation and how to tackle this in a heritage home. Rising damp is caused by capillary action. This is where moisture from the ground moves up through the walls in opposition to gravity. Ground water is drawn up through the tiny spaces within permeable building materials such as brick or stone. The moisture will dissolve soluble salts from the building materials and may also carry soluble salts from the ground. It is most commonly seen at the base of walls and the ‘tide mark’ at the limit of its extent is caused by these soluble salts which can become visible as white salt efflorescence as the wall dries. Rising damp is one of the most talked about types of damp but is relatively rare and is frequently misdiagnosed, leading to expensive, ineffective and often damaging treatment methods. Penetrating damp is caused by a failure of the external fabric of a building which leads to water ingress. It tends to happen as a result of structural problems, such as faulty guttering or roofing, or cracks in external walls. The water that passes through saturates the depth of the wall, often becoming contaminated from contact with the building fabric and then leaving brown staining on the internal surface. It is a relatively common cause of damp and generally occurs in older buildings but can occur in properties of any age and at any level of the building. Issues seen at high level are most likely to be penetrating damp, but even at the base of a wall it is still more likely to be penetrating damp rather than rising damp. Condensation is caused when warm, moist air meets a surface (or air) of a lower temperature. Where the two temperatures collide, the warm air loses its ability to hold moisture and the moisture it can no longer hold is deposited (condenses) onto the cold surface. A good example of this is windows. Double and triple glazing reduces condensation on windows by keeping the surface temperature of the glass warmer, but windows are still generally cold surfaces and so attract condensation. This isn’t to say that condensation only occurs on windows. Moisture will condense on other cool surfaces, particularly adjoining wall surfaces and ceilings. It can even form within the wall itself. This is known as interstitial condensation and often occurs behind modern interventions, such as drylining or insulation. 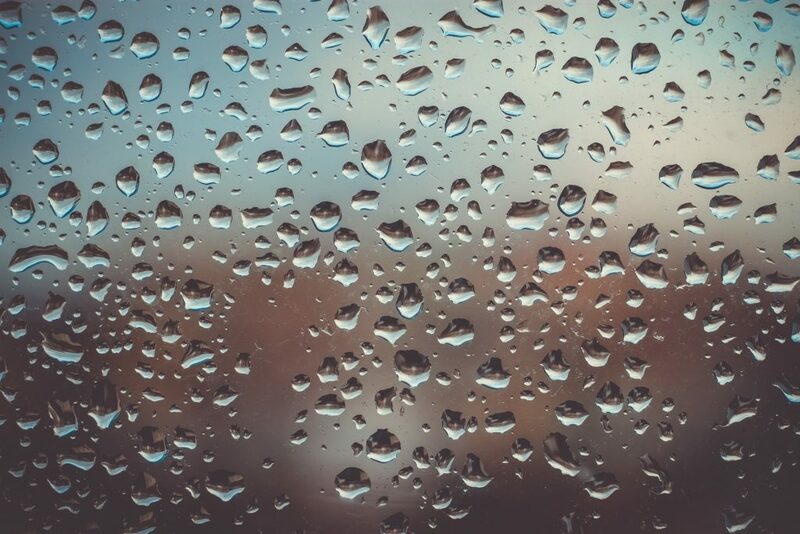 Condensation is often associated with other forms of damp that might cause the external walls to be cold or introduce additional moisture to the inside of a building. Condensation is characterised by black mould growth and is an increasing problem for UK homeowners as increased energy efficiency through improved airtightness has reduced natural ventilation. The most serious consequence of damp is harm to the fabric of the building. Timber, especially, can suffer significant damage if wet rot (infestation from fungal species) and wood-bring beetles take hold. This can lead to extensive damage and can eventually lead to the timber losing its strength and, in the worse cases, even cause structural failure. Masonry (brick, block and stone) is much less at risk, but will still deteriorate in prolonged or extreme damp conditions. The next big issue is a significant decrease in thermal performance. A damp building loses approximately 30% more heat through its walls compared to a dry building. This has a big impact on the comfort of living spaces and can lead to increased energy bills as heating must work harder against the cold, damp conditions. Water condensing on cold surfaces such as windows, walls and ceilings can lead to condensation-driven black mould growth. The spores released by the mould can be very harmful to human health. The most visibly obvious effect of damp is unpleasant staining and degradation of internal decorative finishes. Whilst annoying to the homeowner, this must be of least concern as it doesn’t have consequences for the structural integrity of the building or the health, comfort and wellbeing of its occupants. Internal symptoms are vital indicators of the presence of damp, but it’s important not to assume these are the main problems to overcome. To understand and be able to deal with damp in a heritage home it is essential to understand how the building works, particularly in terms of managing moisture. Before the advent of cavity walls, vapour barriers and impermeable building materials that are all used in modern buildings, moisture was managed very differently. 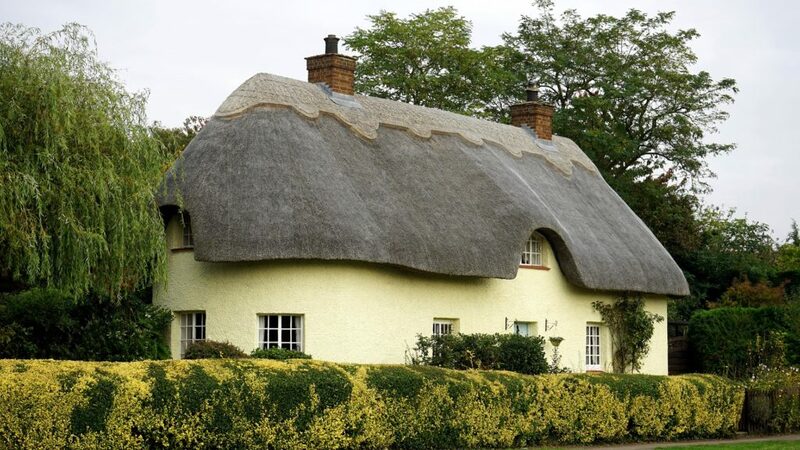 Before about 1919, houses were built from permeable materials with solid walls and no damp proof course or membranes. Older buildings manage moisture by absorption and evaporation, and this was generally aided using open fires. Water from rain, the ground and airborne moisture generated from the building’s occupants were all absorbed into the fabric of the building where it could move freely through its surface and readily evaporate through the permeable finish. This is referred to as ‘breathability’ and is one of the main features that stands out heritage homes from modern buildings. Permeable materials maintained a balanced equilibrium that prevented the building from becoming damp. The system works well so long as routes for absorption and evaporation remain unimpeded. Problems arise when modern materials are introduced to the system – vapour barriers, damp proof membranes, impervious plasters, renders and paints – and the building can no longer ‘breathe’ and naturally expel moisture. The introduction of such modern materials breaks the system by disrupting routes for absorption and evaporation and this can result in serious damp problems. One of the biggest mistakes when dealing with damp and condensation in a heritage house is to focus on the kind of damp that’s present. This is simply a symptom of an underlying cause. It is very common for unnecessary and often damaging remedial work to be carried out to treat the symptoms and not the root cause of the problem – this can be very expensive for the homeowner. The only way to effectively deal with damp is to identify where the water is coming from and the mechanisms involved. 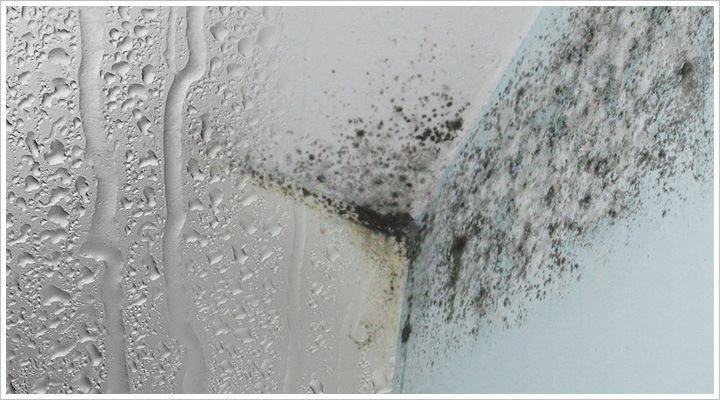 This can be a complex issue as damp and condensation can be caused by many factors. Below are some of the most common causes. Gutters and downpipes are a very common cause of damp. Inadequate, poorly maintained or leaking gutters can channel large amounts of rainwater and concentrate it on one part of a wall. 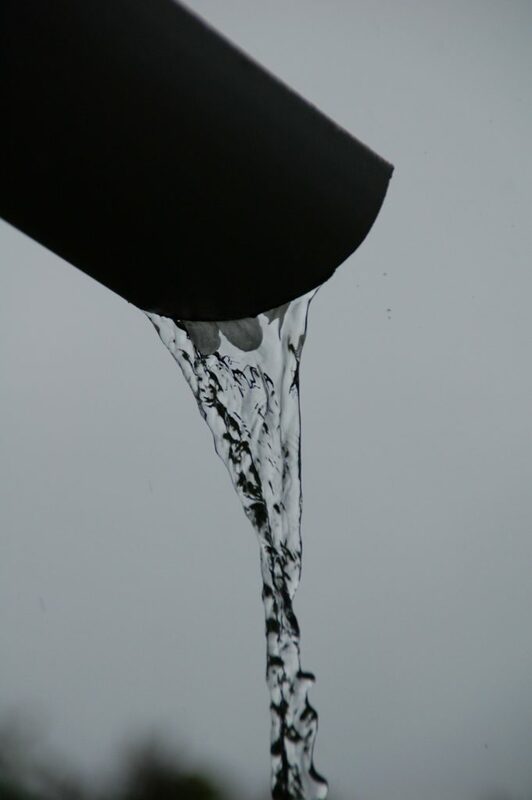 Even small leaks or gaps can generate a surprisingly large amount of water. It’s also surprisingly common for downpipes to empty at the base of walls rather than into a surface drain. Cement renders are a fine example of modern impervious materials. Using impervious materials such as cement will disrupt its ability to ‘breathe’ and prevent absorption and evaporation from occurring. Cement renders are especially problematic for heritage homes as they are rigid and inflexible and incompatible with the softer permeable construction materials that make up the underlying building fabric. The result is that the render cracks as it cannot accommodate this movement and then lets in rainwater that becomes trapped behind the impervious cement render. Modern floors are a further example of compromising breathability. Replacing a breathable solid floor, such as brick or stone, with an impermeable material such as solid concrete (with a damp-proof membrane) will prevent rising ground water from evaporating through the structure. Instead, when water hits the impermeable barrier, it migrates sideways into the base of the wall, which then becomes damp. Raised ground is another common cause and can be hard to rectify. The external ground level should always be lower than the internal floor. If it isn’t, water contained in the soil will penetrate the wall above the internal floor level, causing it to become damp. Hard landscaping will exacerbate the problem as this tends to pool rainwater against the wall unless sloped away from the house. Inadequate ventilation and modern wall plaster can combine to create serious condensation. Modern living creates a very large amount of water vapour from sources such as cooking, washing, bathing, drying clothes indoors and even simply from breathing! In a heritage home this moisture used to be managed by permeable materials – the ability of the house to ‘breathe’ and expel moisture through absorption and evaporation. However, the use of modern gypsum plasters has significantly reduced this breathability. This reduced breathability combined with the reduction in use of open fires and a greater push for airtight, energy efficient homes has had the unintended consequence of trapping moisture inside our homes. If there is not enough ventilation to remove this airborne moisture, serious condensation can occur, especially if walls are already cold and damp. 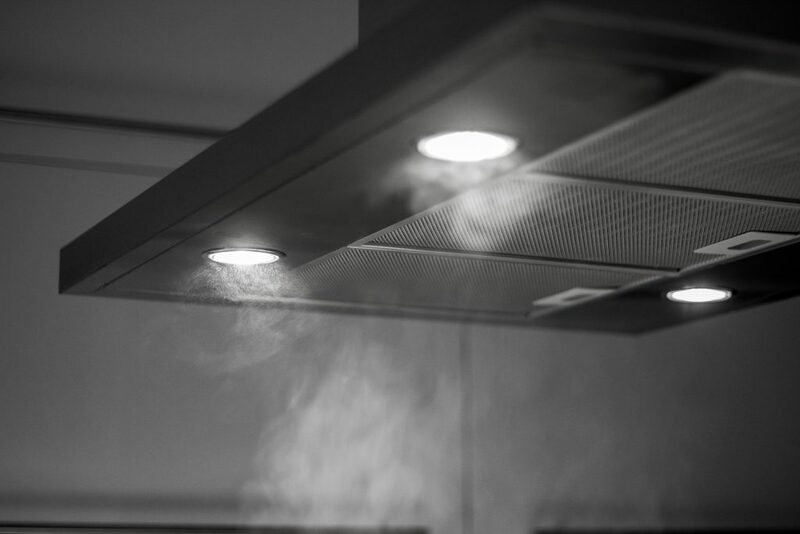 Effective extract ventilation in kitchen and bathrooms is crucial for reducing condensation.